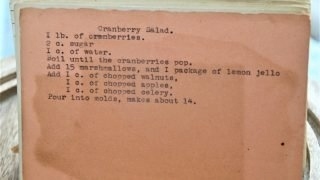 Front of the recipe card for Cranberry Salad. 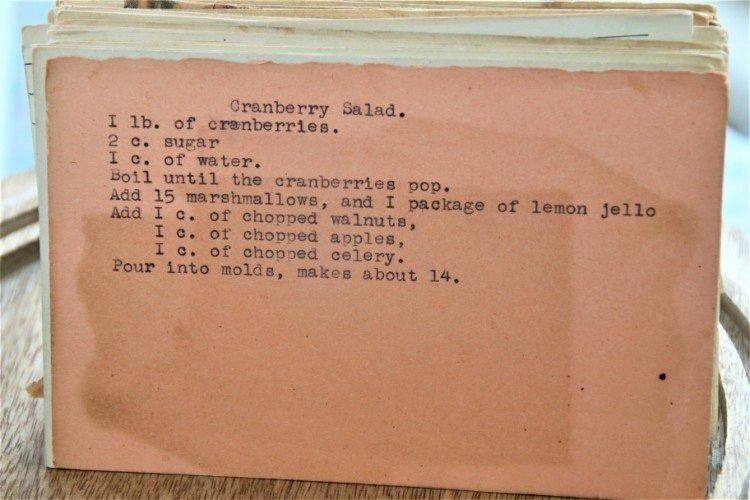 There are lots of fun recipes to read in the box this recipe for Cranberry Salad was with. Click here to view all of Vintage Recipe Box 10 recipes. Use the links below to view other recipes similar to this Cranberry Salad recipe. Boil until the cranberries pop. Add 1 cup of chopped walnuts, 1 cup of chopped apples, 1 cup of chopped celery. Pour into molds, makes about 14.